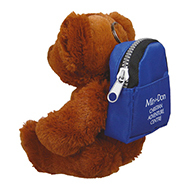 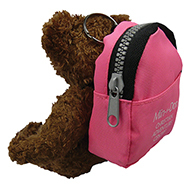 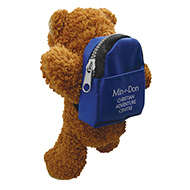 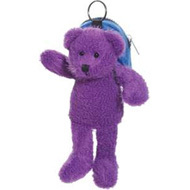 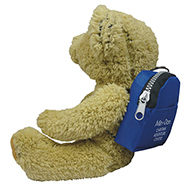 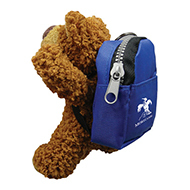 Our personalised bears with rucksacks offer a great opportunity for building goodwill and trust for your brand. 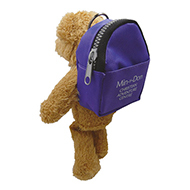 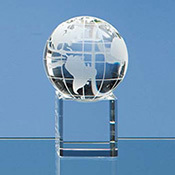 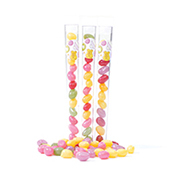 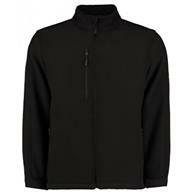 Take the branded bears with rucksacks to your next trade show and see how fast they get taken ! 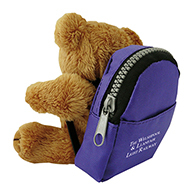 All of our printed teddy bears are sourced with safety and quality in mind, ensuring we use the best quality materials in all of our personalised bears so that they last for years to come. 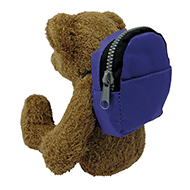 Take a look at our favourite printed teddy bear with rucksack, our 7 inch printed Freddie Bear with rucksack. 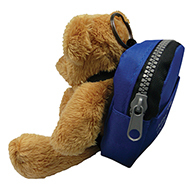 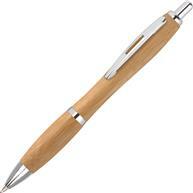 To discuss our full range of promotional products and how we can tailor them to you, contact our expert customer sales team on 01245 382600, email us sales@allwag.co.uk or chat live with us above.